Searching for a plumber in Redland, Cotham or Montpelier at an affordable price? Look no further. We are a local company with expertise in all kinds of plumbing, so whether it's a dripping tap, a leaking pipe or a major central heating and new boiler installation we can help. Whatever your requirements, we'll send you a professional, friendly plumber to sort them. We cover all of Redland, Cotham and Montpelier and enjoy an excellent reputation in the area with many loyal customers. All plumbers are Gas Safe registered to comply with legal requirements and for your peace of mind. Lines are open 24 hours a day, so if it's an emergency plumber you need, call us and we can be there in a flash. Free quotes and no call out charge! Yes that's right. We don't charge call out fees unlike many other plumbers. 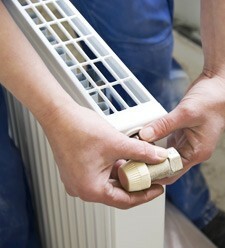 We also offer free, no-obligation quotations and provide a 24 hour emergency line. Customer satisfaction guaranteed. Call now on 0117 345 9036 for all your plumbing needs from the professionals you can trust.